Can't wait for the preview this week. Me neither. I hope that it is something new. Like a topping or something. 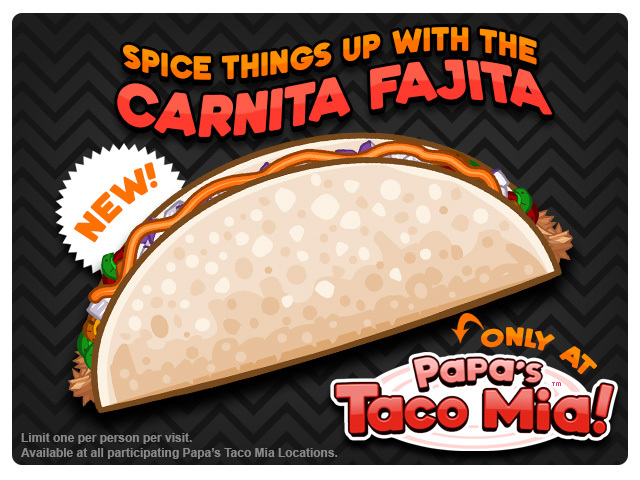 Big big news… Papa’s Taco Mia HD will have Specials!!! This is the first time an HD Gameria will have this awesome new feature! As some of you may know, once in a while, a customer will come into the shop holding a Special Recipe. If you do a good job with their order, they will give you a Special Recipe that you will then be able to use as a daily special. 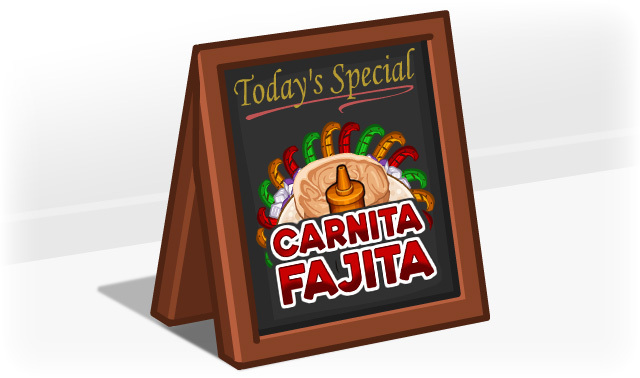 Each day you can choose what “Today’s Special” will be, and you can choose any of the Specials that you’ve unlocked to be the Special for that day. Each Special has a different bonus that you receive when you correctly serve one. You can also expect a full fledged Cookbook section with detailed info on each special as well as info on all the ingredients you have unlocked! Stay tuned for more Sneak Peeks of Papa’s Taco Mia HD! Looks incredible! Really curious about the new holidays in this game! Things just keep getting better for Papa’s Taco Mia HD! Last week we broke the news that Specials would be making their HD debut… but it doesn’t end there! 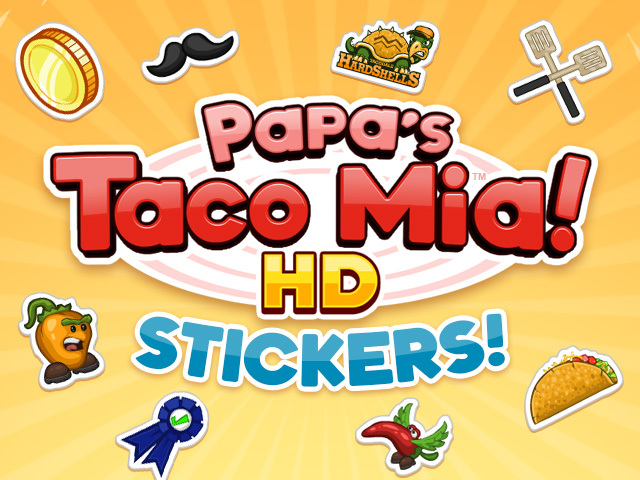 Papa’s Taco Mia HD will also have… STICKERS!!! So now you can complete challenges to unlock 90 stickers. As with Papa’s Bakeria, you will also be able to use those stickers to unlock alternate outfits for all your customers! For those of you who haven’t played Papa’s Bakeria, here is some more info on Stickers and Outfits! We are SOOOOOOOO excited because this will be the biggest, fun-filled HD game yet! Also, we are switching Papa’s Next Chefs Tournament to Tuesdays. Stay tuned for more Sneak Peeks of Papa’s Taco Mia HD!